Talk show host Wendy Williams is taking steps to treat her addiction, just as she told fans she’d be doing. In the morning of Wednesday, March 20, 2019, Williams was spotted leaving a sober house in Queens, as reported by Page Six. Wearing a nearly $2,000 animal-print coat by Moncler Caille and carrying a “yellow crocodile Fendi Large by the Way bag,” Williams was said to have walked from the facility to a Mercedes as she went on her way to work at The Wendy Williams Show. Williams shared that, after her appointments, she returns to a sober home, where she lives with “a bunch of smelly boys who’ve become my family,” via a ride from her 24-hour sober coach. She noted that she spends her nights reading and talking with the men before going to bed, following a doors-locked, lights-out policy that goes into effect at 10 p.m.
As noted by Page Six, Williams did not say that she relapsed. She’s only stated that she’s sought help for addiction. 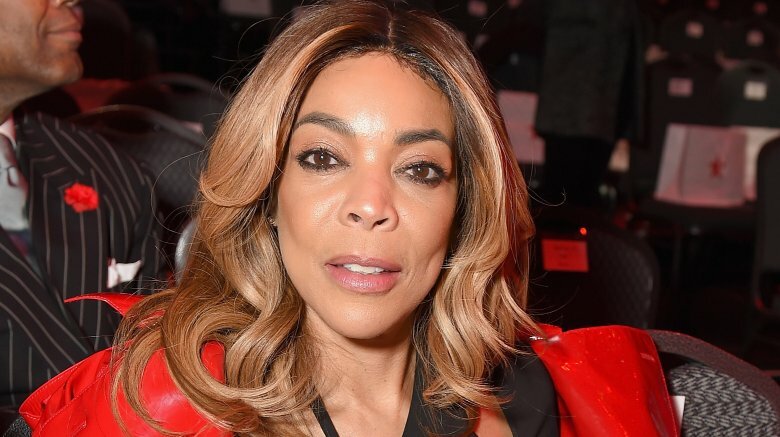 Prior to opening up about her addiction struggles on her March 20 show, Wendy Williams had taken two months off from The Wendy Williams Show due to her health. “What had happened was, we were only supposed to be off for two weeks for Christmas vacation,” she began when she returned to her show in early March, “and towards the end of the two weeks, I started to feel thyroid-ish.” Williams — who’s been diagnosed with Grave’s disease, an autoimmune disorder that affects the thyroids — noted that her doctors were “adjusting” her medications, and they clearly helped get Williams feeling better. “I’m happy to tell you that I am doing swell,” she told her audience. We’re rooting for Williams as she continues dealing with her addiction, and we applaud her for coming forward to share her story.